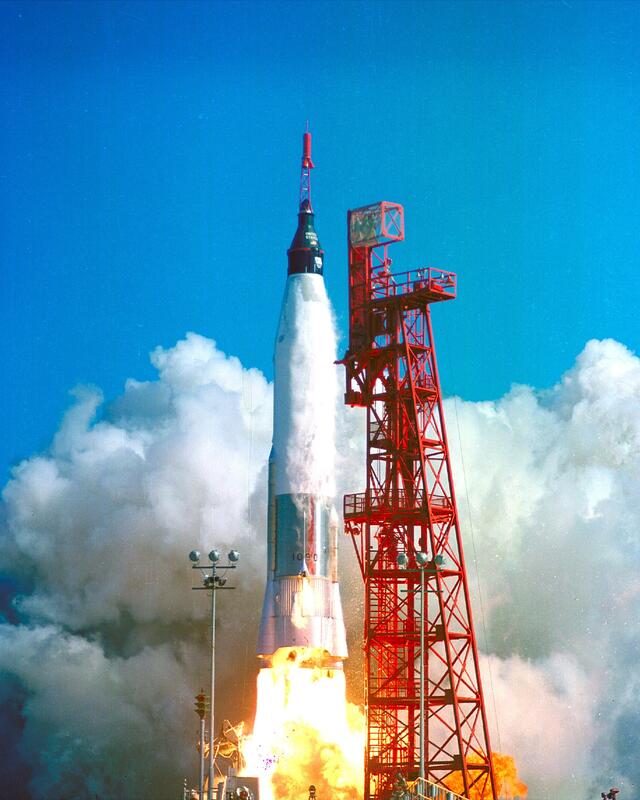 The Mercury spacecraft, named Friendship 7, was carried to orbit by an Atlas LV-3B launch vehicle lifting off from Launch Complex 14 at Cape Canaveral, Florida. After four hours and 56 minutes in flight the spacecraft re-entered the Earth's atmosphere, splashed down in the Atlantic Ocean and was safely taken aboard the USS Noa. We were all gathered in the school gym and watched this on two b&w TVs.